Institutes to remain in-touch with students via SMS. Fast speed delivery of SMS & Application Serving! Extremely Easy in use, everyone can understand! Using Educational Notifier system you can send notification/messages to individually to students from different classes/groups. Suppose its fine imposition notification on different students from different classes, inform them or their guardians easily! Educational Notifier system empowers you to easily categorize your students & staff members, create as many groups as needed and import your data using Excel sheets or add them manually by filling form in Educational Notifier. Send SMS Notifications to a Group or a number of groups at once! Built-in system for sorting & sending results via SMS, the feature is so easy in use, just need below steps to go on. Select a Group & click on Add Subjects. Put Result title i-e Final Exam, and add subjects i-e Biology, Physics, Computer etc. Click list students to insert and send results to their Guardians/Parents. 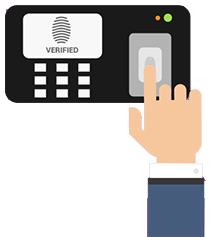 To strengthen security of your institute, we offer Biometric verification system with Educational Notifier. Where each student would be verified before entering to institute & on successful verification an SMS would be sent to student Guardian/Parent regarding his safely arrival to Institute. The same a notification is sent on exit from institute. Worry less - Protect More! Simple & clear with no extra hidden charges, for higher volumes please contact us. Veevo Tech, Office#4, 4th Floor, Block-A, Jawad Towers, Uni Road, Peshawar.